The award-winning Indigenous novelist Alexis Wright has been appointed as the Boisbouvier Chair in Australian Literature at the University of Melbourne. Alexis Wright is a member of the Waanyi nation of the southern highlands of the Gulf of Carpentaria. Her works of fiction and non-fiction include Carpentaria, which won the 2007 Miles Franklin Award. Ms Wright said it was a great honour to be named the Boisbouvier Chair, which provided the opportunity to encourage and support the development of Australian literature. The appointment places the University of Melbourne at the forefront of national conversations about the future of Australian Literature in higher education, school curricula and the broader community, and is a partnership between the University and State Library Victoria. University of Melbourne Vice Chancellor Professor Glyn Davis said he was delighted to welcome the distinguished novelist as the second recipient of the appointment. “Speaking and writing as a proud Aboriginal Australian, Alexis Wright brings a powerful voice to our most urgent questions of national identity,” Professor Davis said. “In this unique role as the Boisbouvier Chair, Ms Wright will deepen international appreciation for Australian literature and encourage new Australian voices to join the conversation." 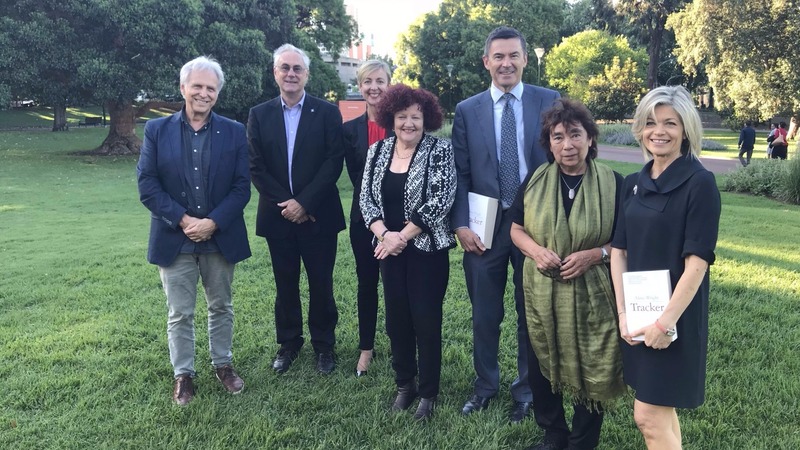 The Boisbouvier Chair in Australian Literature was established in 2015, made possible thanks to a $5 million gift from Mr John Wylie AM and Mrs Myriam Boisbouvier-Wylie. The internationally acclaimed novelist Richard Flanagan was appointed as the inaugural chair in 2015. Mrs Myriam Boisbouvier-Wylie and Mr John Wylie said they were delighted by the announcement. The Chair is a key component of the partnership between the University of Melbourne and State Library Victoria, a Melbourne institution of which Mr Wylie is President. Chief Executive Officer of State Library Victoria, Kate Torney said Alexis Wright would bring a unique perspective and immense talent to the role. “We are passionate supporters of Australian literature at the Library, and I’m sure Alexis will help many writers develop their own voice to tell new Australian stories,” Ms Torney said. The announcement coincides with the launch of Ms Wright’s new book of non-fiction, Tracker, a tribute to the visionary Indigenous leader Tracker Tilmouth, published by Giramondo. For more see the Newsroom.